TO SAVING IT WITH LOVE! Your ability to stop yourself matters. Anyone can learn the four fundamental life skills that lead to stopping. Anyone. No exceptions. There’s a skill for mind, a skill for spirit, a skill for heart and a skill for body. The skills are practical, doable, meaningful and 100% based on self-love. There’s nothing woo-woo or hard about practicing. There’s nothing woo-woo or hard about self-love. The Power to Stop IS A BESTSELLER ON AMAZON KINDLE. 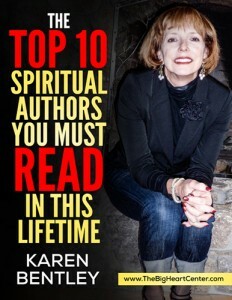 Click here to read multiple rave reviews from other authors who endorsed the book. Click here to read professional reviews. ♥ Tap into the power of radical self-love. ♥ Experience the deep, unshakeable calm and release from mindless tension that comes with self-love. ♥ Feel good about yourself and others with self-love. Feeling good is critically important because when you feel good, you don’t need to reach for the booby prize. ♥ Get the inspiration you need to be successful from love. Inspiration is the hardest part, and you get it here in spades. 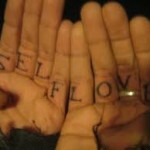 ♥ Teach yourself the four fundamental, life-changing stopping skills that are 100% based on self-love. No trips to the darkside. Ever. These easy but effective skills are not available elsewhere. ♥ Give yourself the gift of love with 30 disciplined, strategically designed days to both align and retrain your mind, spirit, heart and body. Stopping becomes natural and effortless when spirit, heart, mind and body are fully engaged. Love uplifts you out of a dark place and into a light one. There’s no emotional angst to endure. No making up for past mistakes. Nothing to dread or avoid. The experience of being love and extending love is never painful. Every troublesome behavior is an abundance of impulsive energy that’s misfiring. All people with an abundance of impulsive energy have the same hard time harnessing it and redirecting it to constructive use. These are the very same people who have the potential to become saviors and miracle workers. Miracle work is the flipside of wayward behavior. You are a miracle-worker in disguise. Forget the fearful, dreary messages you’ve heard about stopping. The Power to Stop is not a 12-step program. It’s not a behavior mod program. It’s not a therapeutic program. These well-intended programs perpetuate the interpretations and limiting beliefs that keep you stuck. 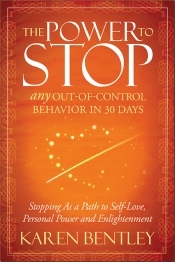 The Power to Stop gives you a dramatically new way to consider and handle stopping, and it fills you with the hope, health and healing you’ve been seeking. 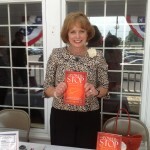 The Power to Stop is an uplifting results-oriented program that works. This do-it–yourself book makes the program available to anyone who wants it. The writing style is clear and easy to understand. The four simple daily steps are practical and doable. The 30-day program is easy to follow. References to God and to the divinity that dwells within are done in a non-religious, universally-acceptable way. Many of the concepts are based on spiritual principles from A Course In Miracles (also known as ACIM), which is the path to God without religion, and on energy conservation concepts presented by Carlos Castaneda in his amazing series of books. The Power to Stop can be ordered through any book retailer, but the two easiest places to get it are at Amazon.com, where it’s affordably-priced at only $14.00 for the paperback and $7.69 for the Kindle version, and at the Community Miracles Center bookstore for just $13.48.